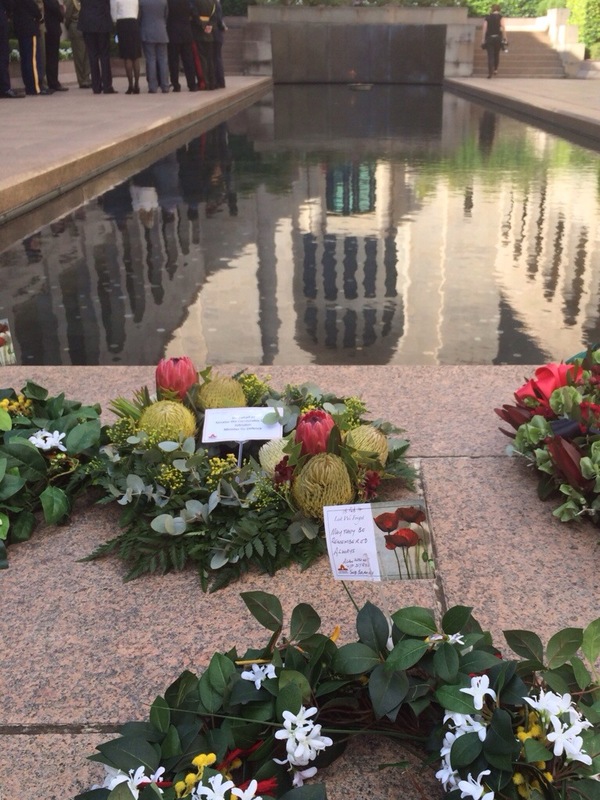 We started at the National Museum of Australia, where we went through a lengthy exhibit about the history of the first Australians, which was very interesting… and sad… and thought-provoking. It’s too much to get into in a light travelogue post, but — as an outsider to the country — it was a surprisingly frank examination of the way aboriginal people were/are treated in Australia. 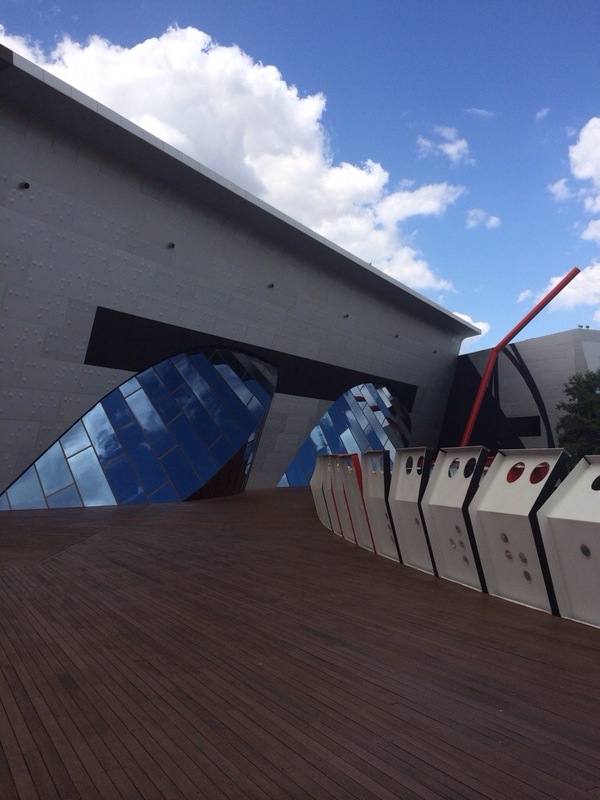 We also spent a lot of time outside at the museum, on the two café patios (one at lunchtime, the other a few hours later when we needed a snack) and also just checking out the wacky post-modern architecture of the building. The design, overall, isn’t really my taste, but I did like the way the windows reflected the sky. 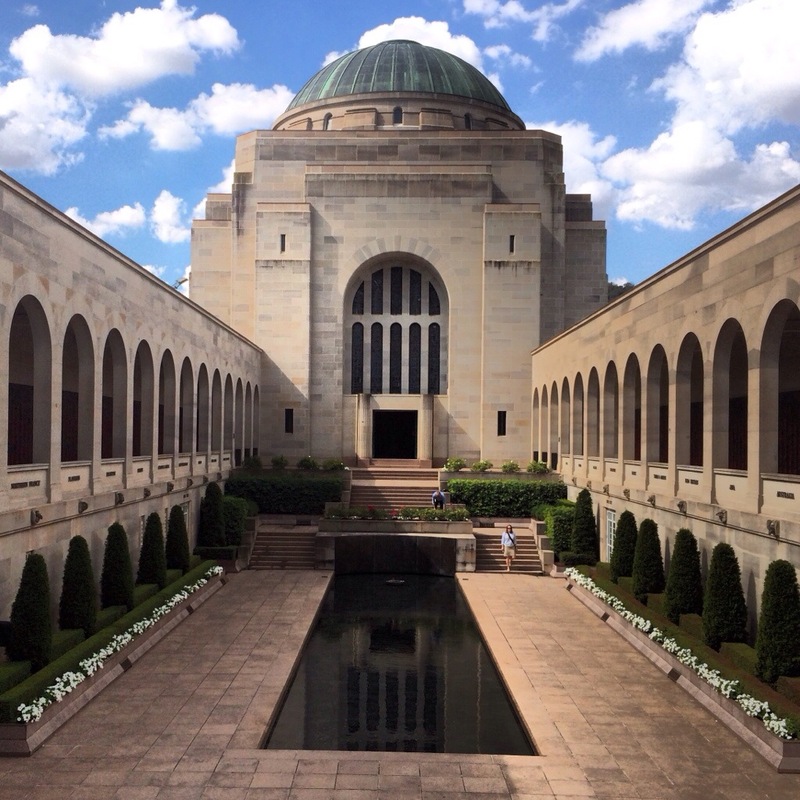 After we finished up at the museum we headed up to the Australian War Memorial, which commemorates all Australians lost in wars, but most particularly World War One. 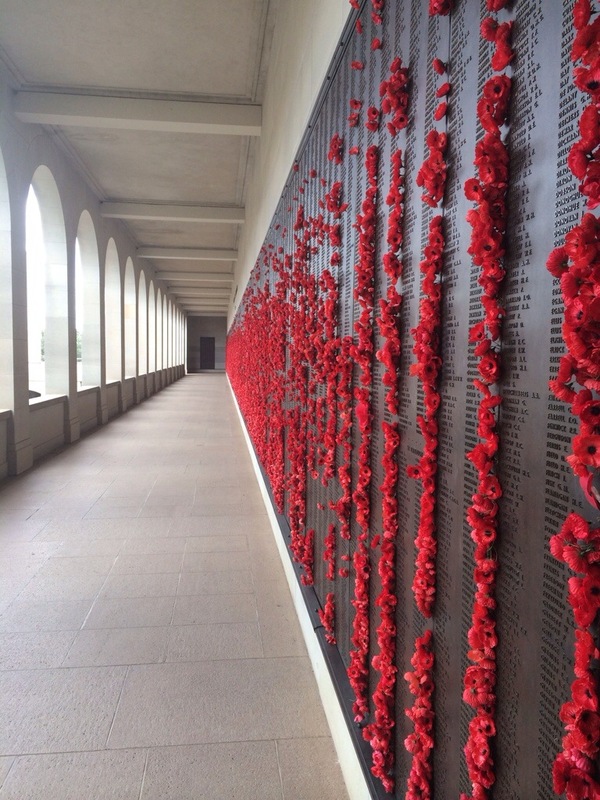 It’s an impressive building overall, and the poppies people place along the panels of names make a striking image. We happened to be at the memorial just before closing, when they do a ceremony called “Last Post.” Dignitaries from foreign nations come to lay wreaths (on the day we were there, delegations from Afghanistan and Singapore were present) and the life story of a soldier is read (we heard about a young man who died in the First World War). 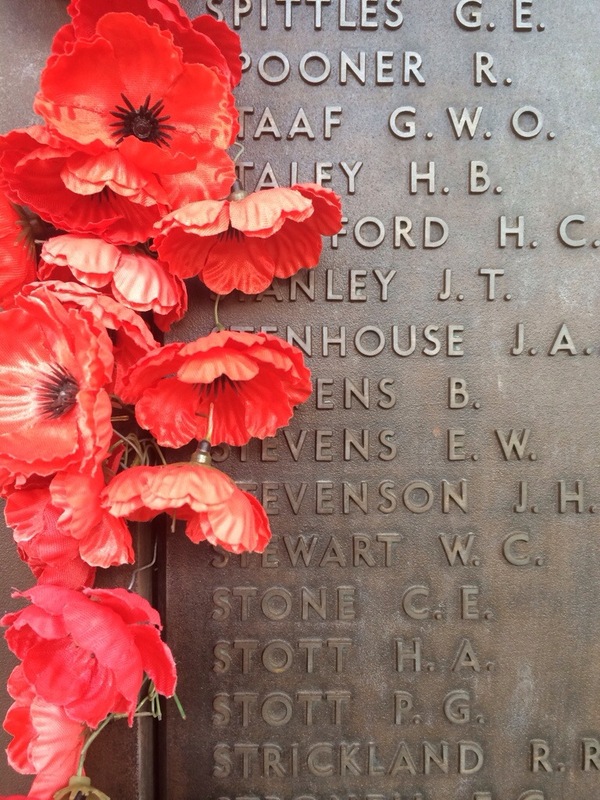 There is also a little music (bagpipes and a bugle, not at the same time) — overall, a very lovely and solemn remembrance. 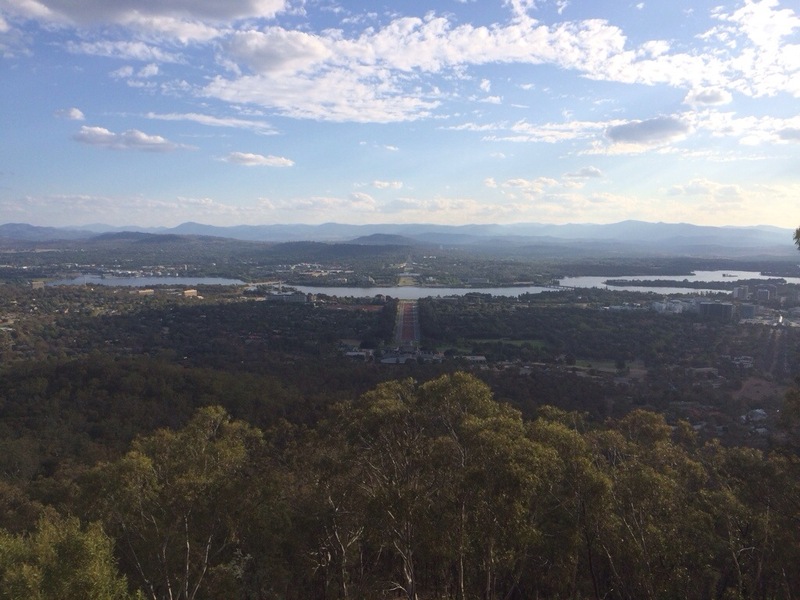 After the memorial, Mark picked us up and drove us to the top of Mount Ainsley to take in the panoramic views of Canberra before we headed off to dinner. 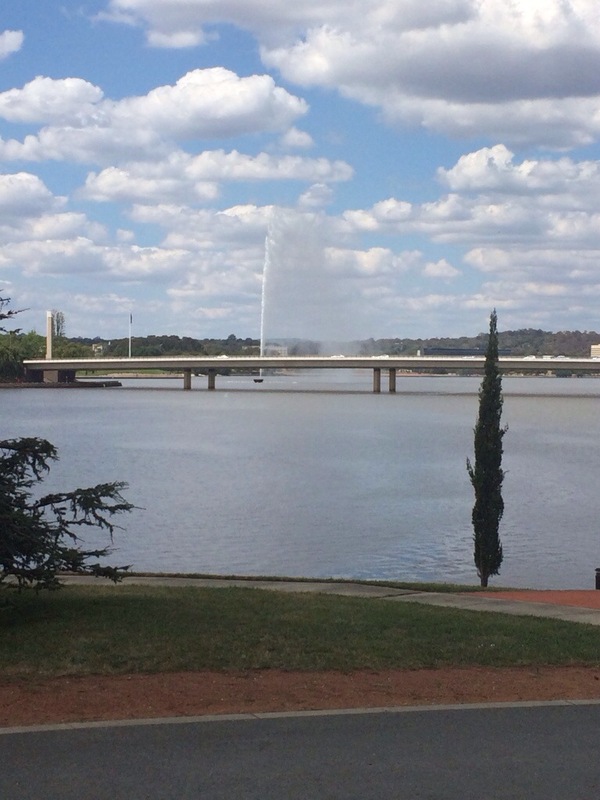 And then came Wednesday, when it was time to leave Canberra. We took a quick tour of the Embassy grounds, since that’s where Mark & Sara work, had a leisurely breakfast in the Yarralumla “suburb” (which is what Canberrans call neighborhoods) , and then headed to the train station. 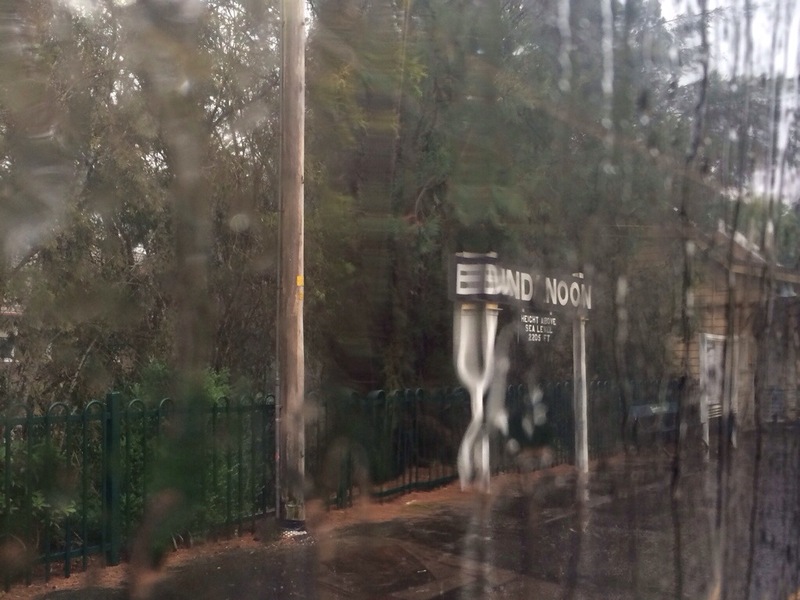 It’s only a four-hour train ride to Sydney, but along the way, we caught back up to the rain we’d been chasing around the country. It was a terrific show — I got to see the band play the complete “Darkness on the Edge of Town” album, and because I was at the top of the lower section with a wall, rather than people, behind me, I could stand up and dance as much as I wanted. I also had a view of the TelePrompTers on stage, so I could tell on advance every song that was coming — and what they skipped. 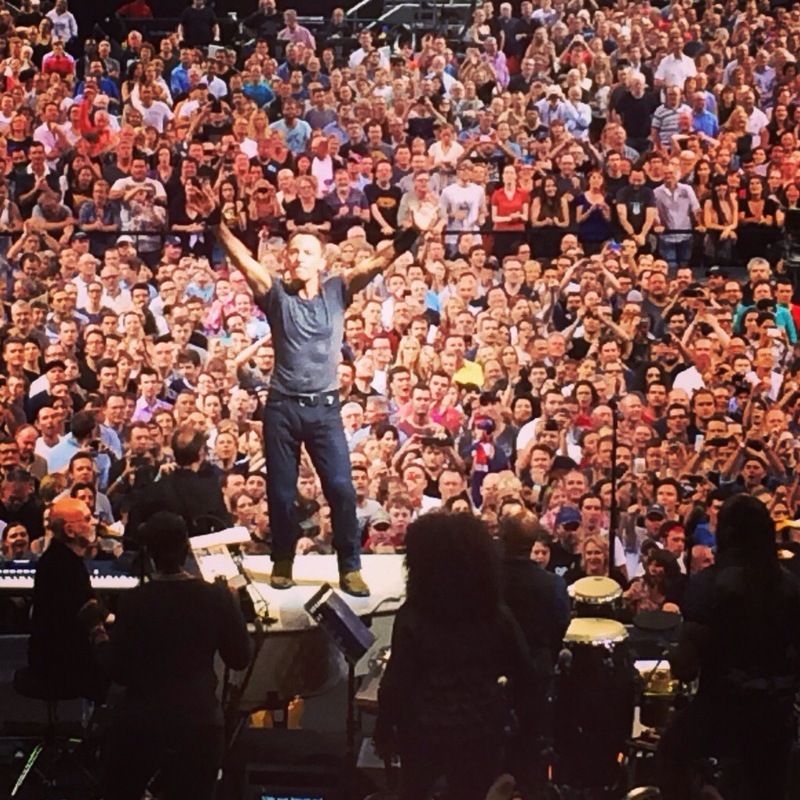 And yes, Bruce… Replacing “The Rising” with “The Ghost of Tom Joad” was an excellent call. I was back to the hotel shortly after midnight and tucked in for a quick six hours rest before a full day tour of Sydney. Which is a story for another post. No “Tougher than the Rest”? Hi Sarah – I’ve been a bit under the weather, but wanted you to know I’ve read all your posts and enjoyed them immensely and of course, the pictures.